You are here: Home / Kian Sahani / Magazine Articles / regular post / Sports / Chung Hyeon: Who is This Guy? In the first tennis grand slam of 2018, the Australian Open, we welcomed back many players, such as Novak Djokovic, back into the battle for the title. 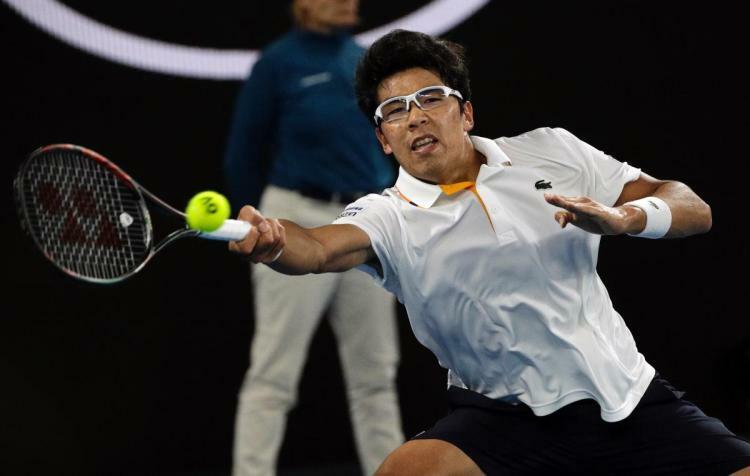 But what none of us expected was a young man by the name of Hyeon Chung, would come out of almost nowhere and take the grand slam by storm. But who is this guy? Where did he come from? Well, to start off, he was born in 1996 in Suwan, South Korea, and tennis was a pastime for him. He claimed to have taken it up to help him with his eyesight, as he needed glasses at a very young age. Who is he, though? He’s the best tennis player in Korea. He won many tournaments throughout his youth, and now, he’s a major unseeded breakthrough in the shadows of more famous players. What makes this man newsworthy, though, is what he did throughout this past January in the Australian Open. He began the tournament by upsetting the number 32 seed, Mischa Zverev, which many people took by surprise. He then went on to do something crazier, and that was to beat Mischa’s brother, Alexander, also known as the fourth best player in the world. That not many were happy about. Some more wins later, he took on Djokovic, and Chung took him out in straight sets, which dispersed Djokovic’s welcoming party fast. By this point, Chung had become the first Korean tennis player to make it to the semi-finals of a grand slam. Through all of this though, the man was being physically tested through every step, literally. As he went on to play the defending champion, Roger Federer, Chung finally gave into the many disturbing blisters on his foot. He had to forfeit the spot in the finals to Federer. What matters, though, is that this man made history. 10 percent more Koreans now watch tennis thanks to Chung. He has shown that anyone from anywhere can make it this far, and we should all respect this man. After all, he’s going to be back next time.